On Sunday 22 April, The Queen will step onto a special podium in front of the Round Tower in the grounds of Windsor Castle to push the start button at 10:00 am. 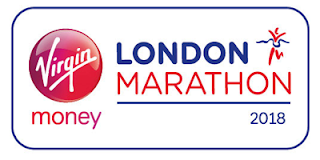 BBC Sport will relay live coverage of the start ceremony to the big screens at Blackheath to set off 40,000 runners on the famous 26.2 miles from Blackheath to The Mall. The 1908 marathon, the showpiece finale of the Olympic Games, was the first marathon to be held over the classic 26.2 mile distance. Opinions differ on why this distance was chosen, with historians suggesting the extra 385 yards were included either to finish the race in front of the Royal Box at the White City stadium, or to start the race in front of the Royal nursery at Windsor. Princess Mary (later Queen Mary) set the runners on their way from Windsor Castle. Dorando Pietri (Italy) was the first to cross the line in the White City Stadium but was subsequently disqualified as, exhausted, he had been helped across the finish by two officials. The following day Queen Alexandra, who had watched the finish, presented Pietri with a gilded silver trophy to mark his achievement. The Pietri Trophy will be on display at the Virgin Money London Marathon Expo at ExCeL from 18 – 21 April.